LOS GIRLS are two musical individuals who love and appreciate music. Having met on a hike in the Hollywood Hills, they began working together on various albums and remixes for various labels including Porter, Recordbreakin and Plug Research. The two of them have received praise from Gilles Peterson for solo projects as well as a remix for David Bowie‘s Station To Station EP release. The two have worked separately for the likes of Quadron, Bruno Mars, RES, Miguel and countless others. 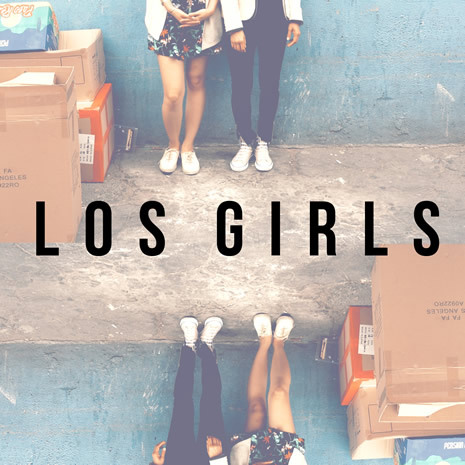 LOS GIRLS is a project that has allowed them to fuse their love for strings, guitars with the beat culture that has long found a home in Los Angeles. They look forward to climbing Mt. Everest sometime soon.